Fishermen about to embark for several days from the fishing town of Joal, Senegal, one of West Africa’s largest artisanal ports. 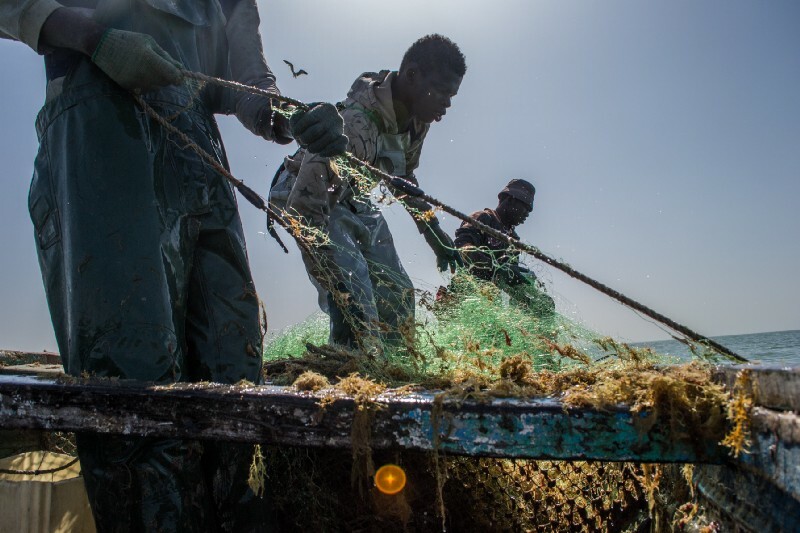 Journalist Arthur Debruyne shares how together with Nigerian reporter Kolawole Talabi they managed to produce their investigative article Fish for cash: How the EU robs Africa of its seafood, awarded with the 2018 Hostwriter Story Prize. Their article was one of the best reportages produced by a team of Hostwriter members. 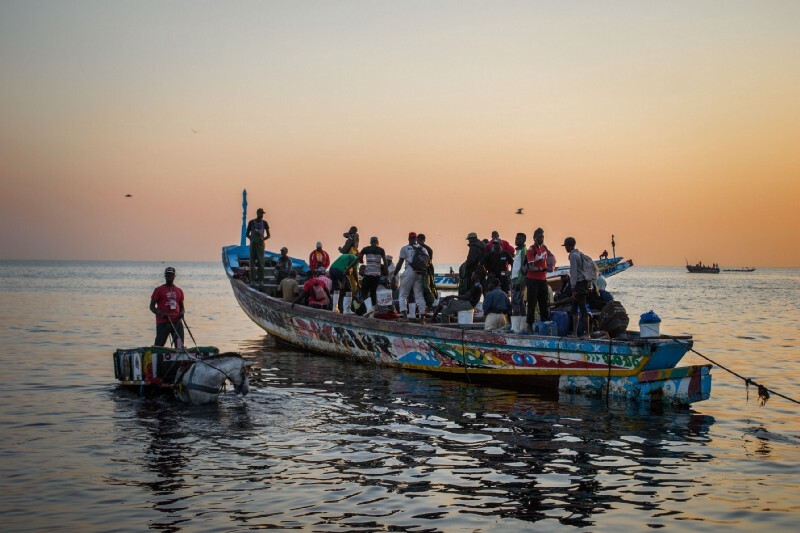 In 2016, Nigerian reporter Kolawole Talabi and I set out to investigate European fishing in the busy seas of West Africa. We’d met through a mutual acquaintance who was then with Belgium’s Journalismfund, running one of their funds dedicated to distributing grants for investigative journalism collaborations between Belgian and African journalists. We were itching to get in on that. Kolawole and I wanted to look at fish, and ended up seeing lots of it. The gist of it is this: as the European fishing industry has reached the limits of what it’s allowed to fish in Europe, the European Union seeks deals with other countries, mainly in West Africa, in order to keep those ships sailing and stave off unemployment in Europe. Yet, these contracts profusely tout development and opportunity for those foreign partners, which seems at first glance to contradict the financial bottom line of such deals. After some initial research and a round of phone calls, it seemed there was definitely a story in it. We decided to take a closer look at three countries: Senegal, Mauritania and Sierra Leone. We divided up the groundwork between the two of us. To cover expenses — for freelancers it’s rare to get that support from media — we sought funding from Journalismfund, that has been ardently supporting cross-border collaborations between European journalists for years. More recently, they called into life that separate fund for collaborations between Belgian and Sub-Saharan African journalists. A jury awarded our pitch with the necessary funding. Then we sought out media to publish our stories with in Belgium, the Netherlands, Nigeria and the United States: that allowed us to maximize our stories’ impact. We contacted a few other journalists who’d worked in those countries or on similar issues, and were able to share contacts and sources with them. It’s important to cast a wide net at every step: starting with a tip from contacts at NGO’s such as Greenpeace and Sea Shepherd we were able to develop one of the major story lines, involving European ships illegally fishing for shark fins. 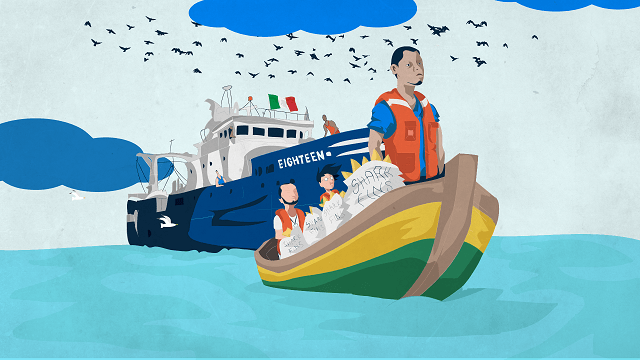 We stumbled upon illegal fishing practices by an Italian company, for example. That posed a practical problem: would we have to travel to Italy– having used up most of our funds by that point — to check out some information? We needed an Italian partner who would assist us in conducting interviews with a key source. We were lucky to find Matteo Civillini, a registered user of Hostwriter, an organization dedicated to collaborations and even couch-surfing between journalists, and member of the Investigative Reporting project Italy. Matteo’s contributions helped to gain first-hand information that was quite invaluable for the investigation.We reckon that without Hostwriter, our reporting would have taken longer since neither of us spoke or understood Italian. Another beauty of our collaboration with Matteo is that we were able to give him a small honorarium for his work. As freelancers it’s nice to be able to share some of the loot. Hostwriter ended up awarding us 2nd place in their yearly Hostwriter Prize for collaborative journalism. The work wasn’t without its challenges. It’s necessary to mention here the hostility of Mauritanian authorities towards journalists. In Nouadhibou, Mauritania’s fishing capital in the remote northwest, I was threatened by the then local governor that further investigating and questioning would lead to ‘measures’ against me. Other authorities continuously cited various administrative hurdles before granting me an interview — none of them eventually spoke with me. After being confronted with evidence of wrongdoing gathered from inside, anonymous sources one coastguard commander simply hung up the phone. I was lucky: critical journalists are regularly rounded up and put in jail in Mauritania on trumped-up charges, foreign reporters thrown out of the country. I’ve used Hostwriter on another occasion as well, and you could say it has changed my life. Just before embarking on the West African trip, I travelled to Mexico to report about migration in the run-up to the American presidential elections. I reached out to a journalist working in Mexico via Hostwriter, and she was able to introduce me to Heriberto Paredes, the photographer who did the pictures for the project. We hit if off from the very first day, and ended up traveling together from Guatemala to Los Angeles. I enjoyed the experience so much that I decided to move to Mexico only a few months later — barely a week after returning from Mauritania and Senegal — and I’ve been sharing a flat with Heriberto ever since. We’ve collaborated on many other occasions and are about to embark on a book project. Two other journalists have reached out to me via Hostwriter since I joined in 2016, and I’ve made another new friend. There really is nothing better than to be on the road with fellow reporters chasing a promising story. How collaborative journalism won us a prize was originally published on Medium by journalist Arthur Debruyne, who won the 2018 Hostwriter Story Prize together with Nigerian reporter Kolawole Talabi for their cross-border collaboration on Fish for cash: How the EU robs Africa of its seafood.